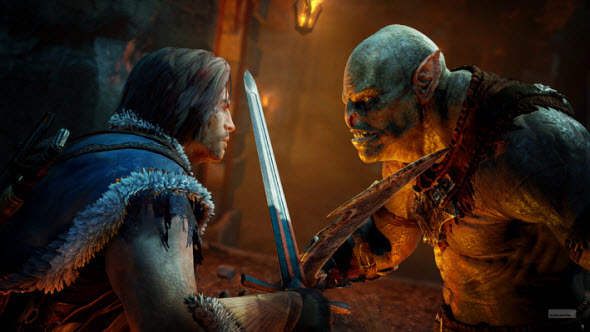 Although Middle-earth: Shadow of Mordor game was announced just a month ago, its developers do not cease to delight us with new information about this upcoming (in 2014) action-adventure. Thus, recently Monolith Productions - the project’s creator - has published new Middle-earth: Shadow of Mordor screenshots and has shared some new information about the game. According to the developer, the action here will take place between the events of The Hobbit and Lord of the Rings when Sauron returns to Mordor. As you may know from our earlier publications, the project’s protagonist is Talion ranger, whose family was killed by the minions of Sauron, but you may not know that our main character was also murdered. But the game doesn’t exist without the main character. So Talion became possessed by the spirit of vengeance, which not only calls for retribution, but also gives the hero some superhuman powers, which will help him in the war with such a dangerous enemy, as Sauron is. And since you will meet different enemies with various forces, you will have to develop your skills, abilities and super powers if you want to survive and to revenge, of course. Some of the them are shown on the fresh Middle-earth: Shadow of Mordor screenshots. Also you can imagine (thanks to new pictures), how the close combats will look like here, and you can even feel the gloomy atmosphere of Mordor, depicted in one colorful artwork published below. Enjoy! 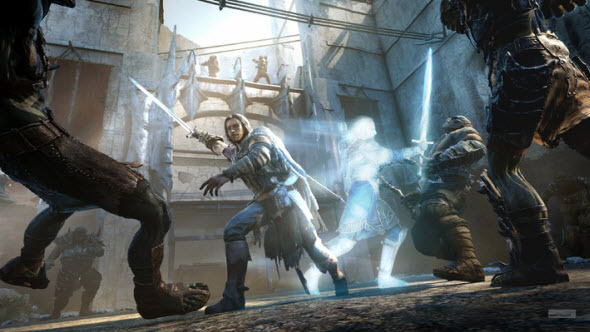 Middle-earth: Shadow of Mordor game will be released in 2014 for PC, current and next-gen consoles.